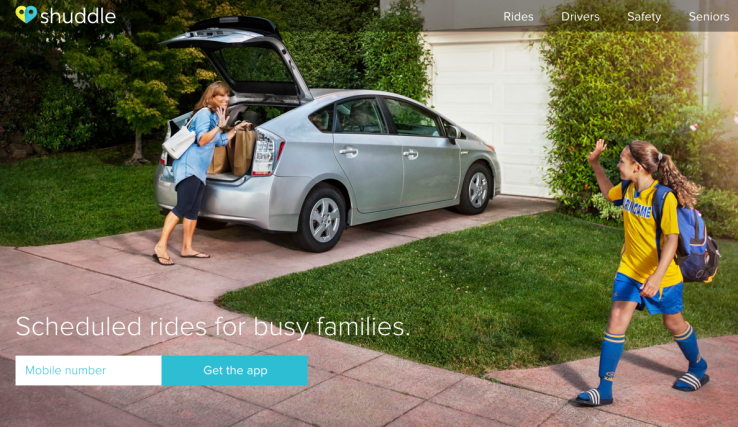 If you’re a fan of Shuddle’s Uber-style driving service for getting your kids to school/playdates/etc., bad news: they’re shutting (shudding?) the doors tomorrow. Shuddle’s main pitch point was their focus on safety: They did intense background checks on drivers, monitored drivers to ensure they stayed on route and didn’t speed or text while driving and offered real-time ride tracking to parents. Drivers could also be authorized to do things most other service’s drivers would be weirded out by, like checking your kids out of afterschool activities. News of the shutdown comes by way of an email sent to customers this afternoon, and it all certainly seems pretty sudden — they’ll cease operating at the end of tomorrow’s business day. Shuddle is promising to pay out drivers with remaining balances within the next few days. The company had raised around $12.2 million dollars to date, according to CrunchBase — most recently having raised $9.6 million in March of last year. On behalf of the entire team here at Shuddle, we are saddened to inform you that Shuddle will be ceasing operations and closing business as of end-of-the-day Friday, April 15th. We worked hard to find the financial resources that would allow us to continue to grow, but ultimately could not raise the funding required to continue operations. We will be supporting rides for families and drivers through Friday, April 15th with the same commitment to safety, trust and reliability for which Shuddle is known. We would sincerely appreciate your help in supporting families through our last day of business. Drivers will be issued final payment invoices on Monday, April 18th for all rides given through Friday. Standard payment procedures apply whereby payments may take 1-2 business days to appear in your account. Phone support will be available through Friday. Email support will be available through Monday, April 18th. For any general questions you may email support@shuddle.us, for payment questions you may email payments@shuddle.us. 1099-MISCs will be issued to any driver who has received more than $600 in 2016 payments from use of the Shuddle Services. This may include, but is not limited to: payments for Shuddle Rides, bonuses, reimbursements, and promotional events. 1099-Ks will be issued to any driver who has made more than $20,000 and has more than 200 transactions in 2016. To make sure that you are following tax laws or if you have any questions about how to file your tax return, including any potential deductions based upon your use of the Shuddle Services, we encourage you to consult a tax professional. We hope our drivers find new flexible work opportunities that you enjoy, and we take our hats off to our parent customers who work so hard everyday to help their kids get safely to school, home and fun. Thank you for making Shuddle a part of your lives.